Theodore Roosevelt, who was born 157 years ago today, provided WCS with the gifts of great moral and political support in the organization’s early years. It was Roosevelt who appointed the committee of Boone and Crockett Club members who eventually founded the New York Zoological Society. 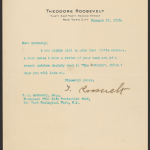 Roosevelt also endorsed the formation of the American Bison Society and served as its first honorary president. 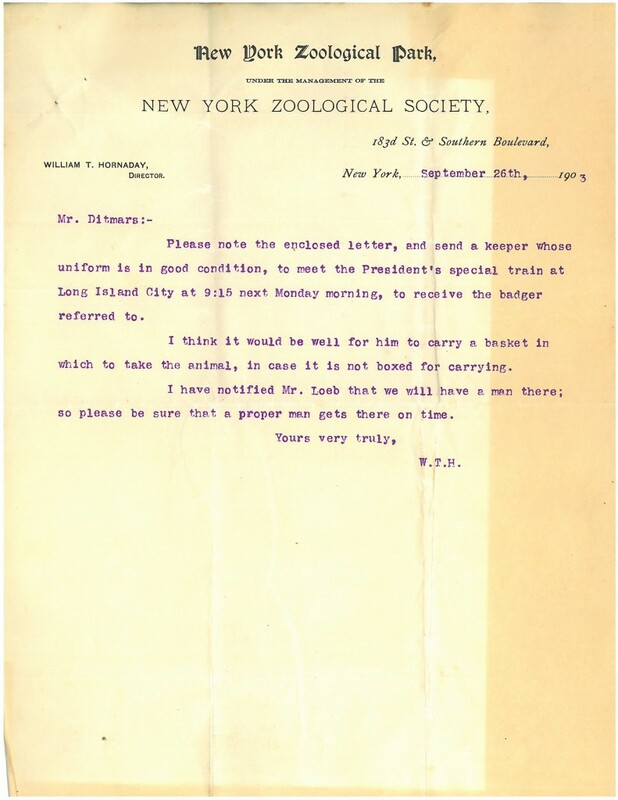 And he spoke out in support of Bronx Zoo Director William T. Hornaday’s (in the end unsuccessful) 1915 campaign to increase wildlife sanctuaries in national forests. always amusing us with his antics, like shredding the furniture with his sharp little claws, or chasing the gardener up a tree. Father just throws his head back and laughs his booming laugh. At some point, though, Josiah’s furniture-shredding and people-chasing became less hilarious, and–as one might expect with a badger kept as a pet–Josiah became increasingly ornery. 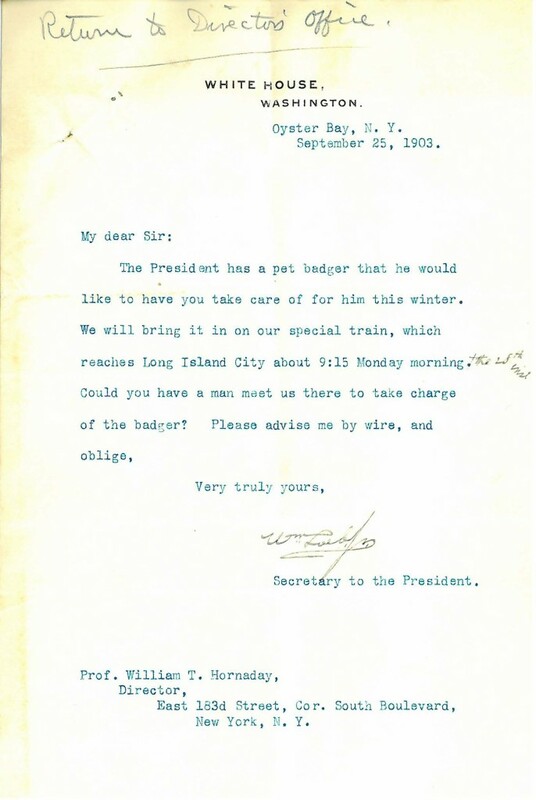 Although this letter indicates that he would only be staying the winter (and although he was still beloved enough to be sent by special train), Josiah ended up living out the rest of his days at the Bronx Zoo. 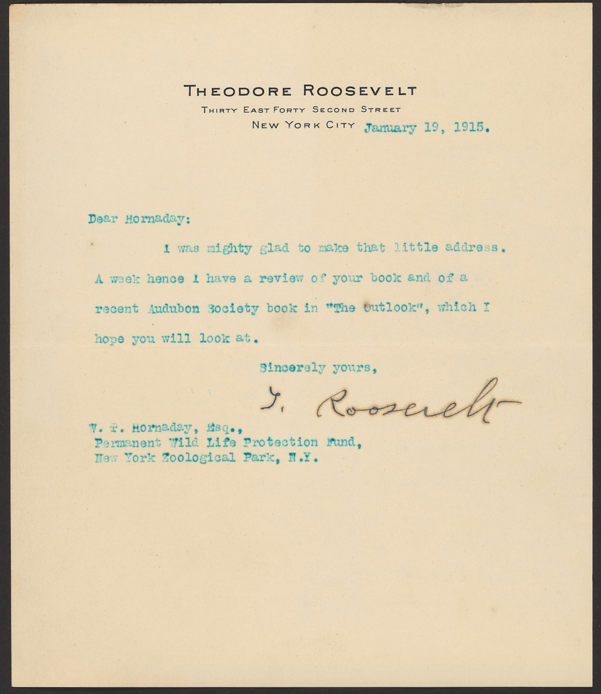 So, if you’re thinking of a gift to celebrate Teddy Roosevelt’s birthday, there’s at least one that we do not recommend! I love this blog. My father, Joe Bell, was Curator of Birds at the WCS. You mentioned him in a previous edition of your blog. Our family lived in the Bronx Zoo from about 1957 till I think 1979 or 1980. A lot of the names and issues you bring up bring back memories. I also print it out for my 94 year old Mother to read. My brother, Kevin Bell, is President of Lincoln Park Zoo. 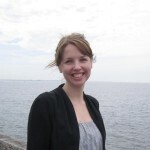 My granddaughter, Samantha Boben, is now a full-time keeper. We are a zoo family! Thank you for this blog and the memories. Hi Muriel, Thank you for your note, and we’re so glad to know that you and your family are enjoying the posts! We were so pleased to meet Samantha a couple of weeks ago. It’s fun to think of the Bell legacy continuing here at the Bronx Zoo. I’m sure that you must have great stories about growing up here!